As the Internet continues to provide us a plethora of information and opportunities, the number of ecommerce sites that are available also continues to increase in number. 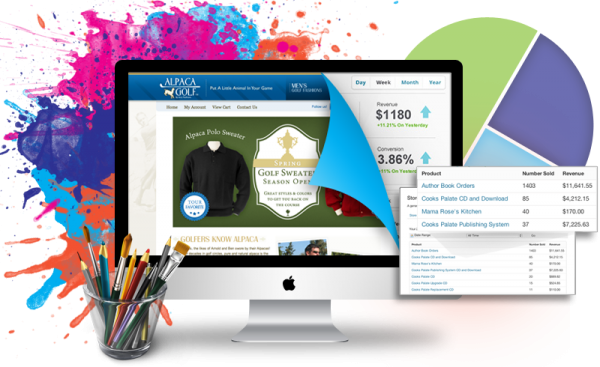 However, for an eCommerce site to be successful it takes far more than what an ordinary business needs. There’s billions of people in competition with you from various parts of the world, and a marketing strategy that really works is essential in being successful. There are a ton of ways that you can market your eCommerce site, however at the current time none of those are any better than text marketing. This form of marketing relies upon an individuals’ cell phone for communication, and it isn’t just those with the smartphones and other top notch gadgets that you can reach with this form of marketing. Text marketing is affordable, with many options available to accommodate the needs of all eCommerce site owners. Now that you understand text marketing and why it is something that you should use, take a look at the perfect game plan for your success. Enhance Security: Text marketing can be used to keep all transactions on your website secure. For example, you could ask a consumer to verify a question or enter a security code via their cell phone. This is easy, secure and effective. Communicate with Employees: Mobile marketing is a highly effective tool for communicating with employees. Whether it is to find someone to complete a new project or to check on the status of an order, you can learn the information you need without wait when it is text message communications being used. Additionally it can be used to notify employees of important events, dates, etc. Premium Text Services: Your eCommerce business could offer consumers what is known as premium text services. For a one-time or monthly charge, cell phone owners can download a game, a song or ringtone, an app, etc. that comes to their cell phone each day. Coupons: Nothing is more exciting than getting a discount. Send a discounted offer via mobile message and watch the faces of all of your customers light up. Surveys: Get to know your audience better with personalized one or two question surveys sent via mobile messaging. Special Offers: use text marketing to present special offers to the consumer. Order Statuses/Reminders: You can also use text message marketing to notify an individual their order has been shipped, notify them of sales or needs and so much more. Next, make your messages as personalized as possible. For example, you can start all messages off with the name of the person on your list, or send offers that are customized to their specific tastes and interests. Another tip for your text marketing success with your eCommerce site: Send messages on a regular basis. Regular messages ensures that you are not being forgotten, which could easily happen if you are not constantly reminding a person that you are there. You want to be careful not to spam people but also make sure that you send your messages regularly enough. One message per week is a week is a good rule of thumb. Text marketing is a great way to drive sales, build your brand and maximize the amount of profits coming through your door, all while benefiting the business as well. It is effective and it is affordable. What more could you ask for?